Explaining the booking process on the platform. On Tutor.id homepage, click "Start Learning". Write the course name that you want to learn and click "Search"; e.g. Mathematics, English. Choose the tutor you want and click the "Book Now" button under their profile. The animation below shows you how to execute the above steps. On the booking screen, you should enter the details which are stated on the green field. Fill "Location" topic (in-person or online). Fill "Time" topic where you can add recurrences to specify that you want the lesson at the same hour in different days and where you can add more dates and times. Select "Payment method" (card or cash). Check your booking details and if it is correct, click "Confirm & Book" (Overview). 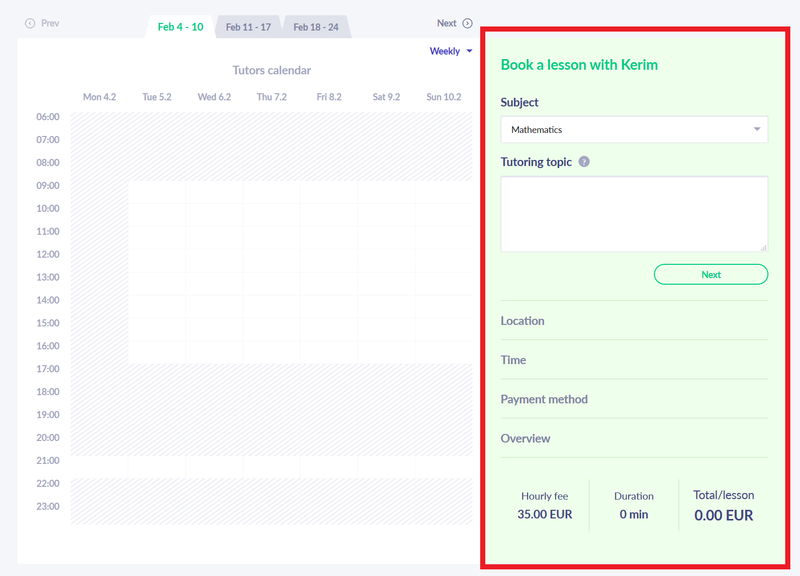 The picture below show the screen where you can book a lesson. If you choose to pay with card, a window will appear on your screen which will ask you to fill in your card details. 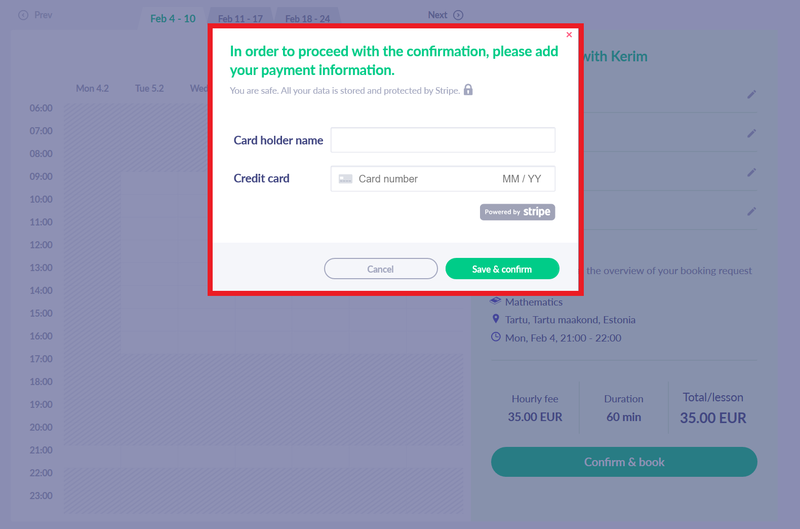 The picture below shows the payment screen where you can enter your card details.